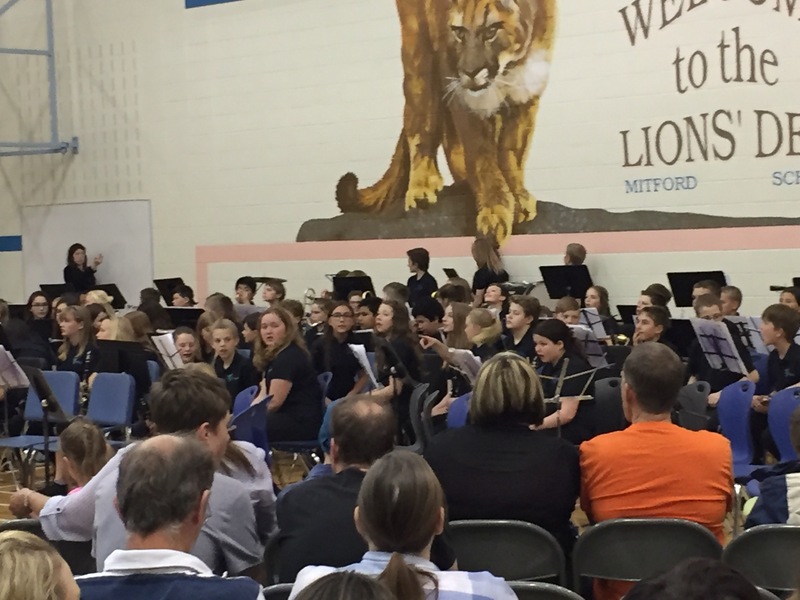 Tonight the girl got to show off her mad clarinet skills at the school band concert. She missed the Christmas one due to her concussion so this was the first time we got to see her play. She really seemed like she knew what she was doing! It’s amazing how quickly they progress over the year. She goes to such a great school – it really has been a godsend and a safe place for her to land over the last couple of years. I couldn’t have imagined a more loving place for her to have had to hold her as she has healed and grown over the last two years. Seeing her there in her community, chatting with her principal who not only knows her, but the whole family so well, that is happiness.